Thursday is the annual “Give to the Max” Day, an easy online way for people to donate to their favorite organizations, and this year, gifts to MSHS will be used to support community gardens in the state through our Minnesota Green program. Minnesota Green has been around to support community gardens for 30 years, and it is a fantastic way to ensure that plants, seed and tools don’t go to waste and that community gardens thrive. Here’s how it works: Minnesota Green connects with nurseries, plant wholesalers and garden centers around the state. When they have excess plant material, they let Minnesota Green know and Minnesota Green spreads the word to community gardens which are part of the program. 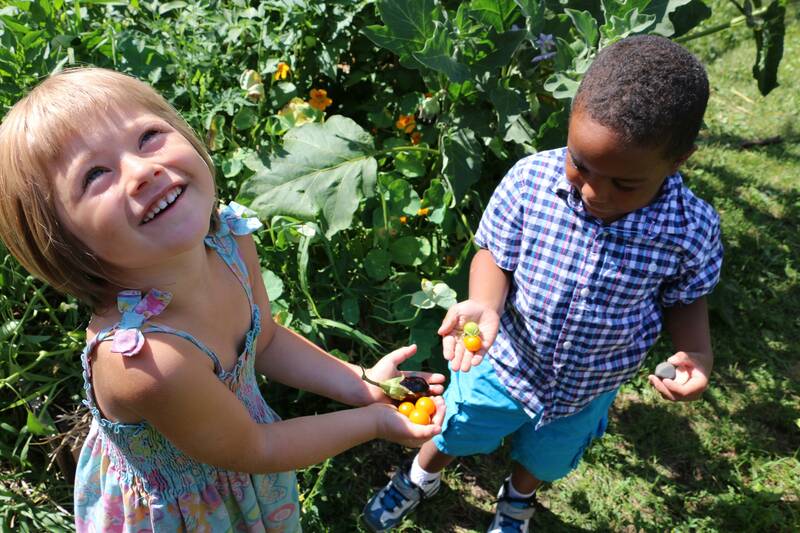 Community gardens help introduce children to gardening. More than 3,000 gardeners in 92 community gardens in the seven-county Twin Cities metro area participated in the program in 2018. More than $165,000 in plant material, seeds and tools was donated to the gardens. Our donor network has grown considerably over the past few years, and is a who’s who of Minnesota garden companies and nurseries. While plants and tools are donated, it costs about $175 to bring Minnesota Green to each garden group each year. That’s why we are directing Give to the Max Day gifts to this worthy program. In addition, one of our MSHS board members has promised to match up to $500 in gifts to the program between now and Nov. 15. Thank you for your helping us support community gardens!